Are you a normal swimmer? 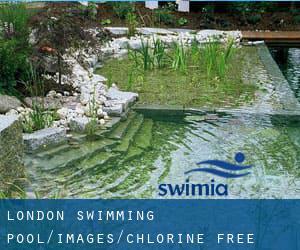 Do you visit precisely the same Chlorine Free Pools in London? Please check that all the details for your aquatic centre are right and contact us when you find any mistake. Please check the nearest Swimming Pools or Contact us to ADD IT. It is totally free! Swimming is a sport for all ages. It helps young persons to tone their muscles and grow healthful and strong. 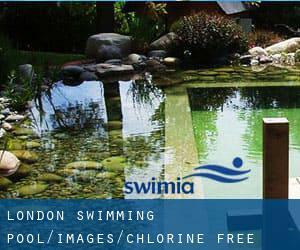 Thanks to some new Chlorine Free Pools in London submitted each day, Swimia.com is increasing day-to-day the number of stored pools. Please do not hesitate to make contact with us if you come across any inaccurate or incomplete facts. There are generally discounts available to senior citizen and tiny youngsters. Discover by contacting your nearest pool in London. Updated on 2019 21A Piccadilly , Piccadilly , London - Central , England , UNITED KINGDOM (Postal Code: W 1J 0BH). Among all the activities offered by the centre, in case you are thinking about swimming you'll appreciate 50 feet x 35 feet, 1 meters - 2 meters depth, 1 meters - 2 meters depth, Non-Chlorine Sanitized, Indoors. Just in case you want to contact this Pool before dropping by, we only know the phone number. 222 Marylebone Road , Westminster , London - North , England , UNITED KINGDOM (Postal Code: NW1 6JQ). Swimmers like you reported 15 meters, Non-Chlorine Sanitized, Indoors. Phone number and e-mail address are number for this Pool. Chelsea Village , Fulham Road , London - Central , England , UNITED KINGDOM (Postal Code: SW 6 1HS). Among all of the activities offered by the centre, if you are keen on swimming you will take pleasure in 25 meters x 10 meters, 4 lanes, 1.4 meters uniform depth, 1.4 meters uniform depth, Non-Chlorine Sanitized, Indoors. Just in case you need to contact this Pool before dropping by, we only know the phone number. 9 Fitzmaurice Place , Mayfair , London - Central , England , UNITED KINGDOM (Postal Code: W 1J 5JD). This sports centre gives 25 meters, 4 lanes, Non-Chlorine Sanitized, Indoors. For this Swimming Pool, only phone number is number here. The Grants Entertainment Centre , 44 Surrey Street , Croydon , London - South , England , UNITED KINGDOM (Postal Code: CR0 1RJ). Swimmers like you reported 20 meters, Non-Chlorine Sanitized, Indoors. Unfortunately we do not have the email address of this Pool, but we can provide you with the phone number. 34 Lombard Road, London , Battersea , London - South , England , UNITED KINGDOM (Postal Code: SW11 3RF). Among all of the activities offered by the centre, if you are interested in swimming you might take pleasure in An adjustable current pool, Non-Chlorine Sanitized, Indoors. If you will need to get in touch with this Pool, e-mail address and phone number are both number. 1 Aldwych, at the corner of The Strand and Aldwych , West End , London - Central , England , UNITED KINGDOM (Postal Code: WC2B 4BZ). Swimmers like you reported 18 meters x 5 meters, Non-Chlorine Sanitized, Indoors. Phone number and email address are number for this Swimming Pool. Norman Park , Lillie Rd. , Fulham , London - Central , England , UNITED KINGDOM (Postal Code: SW 6 7ST). Few days ago a normal user of this centre told us they offer 25 meters, 8 lanes, Indoors. Furthermore, they keep in good conditions 25 meters, 6 lanes, Non-Chlorine Sanitized, Indoors. For this Pool, only phone number is number here. Langstone Way , Mill Hill , London - North , England , UNITED KINGDOM (Postal Code: NW 7 1GU). Swimmers like you reported 20 meters x 8 meters, Non-Chlorine Sanitized, Indoors. Unfortunately we do not have the e-mail address of this Swimming Pool, but we can provide you with the phone number. 1a Hall Lane , Hendon , London - North , England , UNITED KINGDOM (Postal Code: NW 4 4TJ). Swimmers like you reported 25 meters x 12 meters, 6 lanes, 1.2 meters uniform depth, 1.2 meters uniform depth, Non-Chlorine Sanitized, Indoors. Phone number and e mail address are number for this Swimming Pool. 225 Edgware Road , Paddington , London - Central , England , UNITED KINGDOM (Postal Code: W 2 1JU). Swimmers like you reported 18 meters, Non-Chlorine Sanitized, Indoors. Phone number and e-mail address are number for this Pool. The Avenue , Muswell Hill , London - North , England , UNITED KINGDOM (Postal Code: N10 2QE). Among all the activities offered by the centre, if you are keen on swimming you are going to appreciate 25 meters x 12 meters, 6 lanes, 1.2 meters uniform depth, 1.2 meters uniform depth, Non-Chlorine Sanitized, Indoors. Just in case you would like to get in touch with this Pool before dropping by, we only know the phone number.